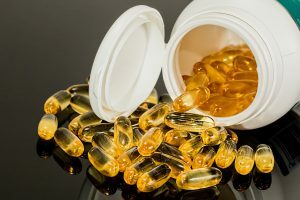 I can’t argue against the fact that some supplements out there are pretty good for you. Humans are naturally more deficient in vitamin D and B vitamins so if you do take vitamins and these are the ones you take, awesome job! If not, then you are just throwing money down the toilet, literally. As I discussed in my earlier article here, we are naturally NOT protein deficient. I urge you to quit protein shakes and eat more broccoli. If not for health’s sake, then do it for your wallet. The number one for supplement sales in 2016 was the protein market. Protein makes up around 70% of the sports nutrition and supplement market worth around $6 Billion. That means that people are spending approximately $4.2 Billion on just protein supplements. Yes, that should make you cringe. I’m all for being healthy, but did you know that you don’t need protein shakes to build muscle, or tone up, or gain weight? Whatever your goal is, you can do it without the excess protein. Some of you may not believe me at this point and that’s okay, I am just telling you to give no protein supplements or mass gainers a shot yourself and see what sort of results you see. I have personally had to adjust to a lifestyle without protein shakes and believe me, it was tough. I am always trying to gain weight and I thought that the protein was the primary driver behind this. That was not true. What I was doing was consuming a ton of fats in the form of milk and all the protein powder was not being absorbed whatsoever. I’ll explain how I have since packed around 15 pounds back on without protein at a later date. For now lets stick to the financials. What Does Your Typical Protein Powder Cost? Many of you have experience purchasing protein powders, and that’s probably why you are still reading this. You have spent a lot of hard earned money out of pocket for how many servings? Let’s break down some of the most common protein based supplements and what they cost. This is probably the best seller of all protein supplements. 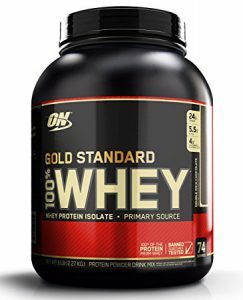 I know that everyone swears by the “raw protein” that ON provides you with their Gold-Standard Whey tubs. I am looking at the 5 lb tub here. This protein powder is likely the best value on the market when it comes to protein supplements. So I’ve done the math on this one. Let’s even be conservative here and pretend you aren’t a protein maniac throwing in two scoops of this stuff per shake and call it one serving a day. If you are spending $50 for 73 servings that comes out to $0.68 per day or approximately $250 per year. Granted this isn’t much but I will be talking more on what this equates to later on. Maybe you’re one of those high end GNC suckers that walks in there because of the shiny red sign and sleek interior design. Don’t worry, I’ve been that guy too. They do have great customer service usually, and while I’m not trying to hate on GNC, their supplements are not all that fantastic and their staff is less knowledgable about the truth than I’d like them to be. But heck, they are there for selling not helping. Ouch. 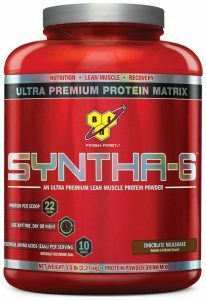 The protein here is lower, amount of servings is cut drastically, and the cost remains about the same. This one can probably hurt the pocket book. Let’s do the math. Once again being conservative and pretending like you don’t over consume protein shakes tenfold. If you knock down one serving a day at a rate of $50 for 48 servings you’re looking at a cost of $1.04 per day. This comes out to around $380 a year. 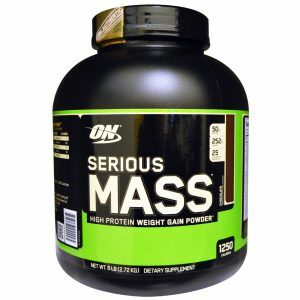 Maybe you’re a little more “serious” about that weight gain aspect of lifting so you opt for the cheapest mass gainer that you will find on the market, Serious Mass. While I understand it doesn’t exactly fall into the “protein” category, I know a bunch of you reading this line the insides of your bellies with it daily. Here are some specs on this one. 8 measly servings. Now you’re thinking I’m feeding you a line. Nope… If you’ve ever used this stuff you know just how pricey it really is for not all that much return. The cost breakdown here at $30 for 8 servings and only one conservative serving per day equates to $3.75 per day. I read some estimates around the web claiming this is closer to $2.99 a day but I call BS after shipping and all online fees and what not. Brace yourself for this one: $1368.75/year on mass gainer. If you don’t have a car that runs and has air conditioner, you should be ashamed of yourself if you are out buying mass gainer. Unless of course you walk everywhere intentionally. I’m certain some of you are skeptical, some of you may even be saying “what am I going to do with that money anyway”. Well let’s look at some different possibilities. At the very least, you could throw this money towards a 401k. Time Magazine estimates that the majority of financial planners use a return rate of 8-10% when estimating future value of a 401k for retirement. Some have been extremely conservative at 4% even though the US Stock Market has historically averaged approximately 10% return annually. For our sake let’s shoot at the bottom end of the financial planner estimates and go for 8%. In addition, I’ll estimate you at age 30 right now (adjust higher or lower based on your current age as I just figure this to be the average) and lets give you a standard retirement age of 65. That puts you in the work force for 35 more years. If you invest $250 per year in a 401K that has an average annual return of 8% per year you are looking at a value of $46,525.00 by the end of a 35 year working period. Investing $360 year over year on top of your 8% estimated return annually will yield a retirement value of $66,996.00 at the end of that 35 year span. The initial investment, and recurring investment every year of $1368.75 will return after 35 years a whopping $254,727.00. Okay so I understand my calculations are not the same as they would be if I was really diving into this return and doing it from a financial planner standpoint. However, it’s accurate enough for a rough estimate and to explain to you how much you could be missing out on if you keep buying something that you don’t even need to reach your fitness goals. Here’s a rough graph that shows the exponential growth of your portfolio over the 35 years you have left in the work force. Is that really what you want to be spending on protein shakes? Seeing these numbers has to feel bad. Even if you just strictly threw your money in savings and not in something that will create some sort of return over the years you would be looking at a savings value of $47,906.00 if you are a Serious Mass purchaser. This is HUGE. The amount of time that this money could sustain you in retirement is insane. Not to mention all the golf rounds you can spend that on with your other grandpa buddies. The key focus of this article was on protein powders and mass gainer. However, what if you were to include your unnecessary pre-workout? What are you spending on that? Try a cup of black coffee straight out of the Keurig instead. You get the same caffeine boost without all the twitchy eyed, itchy scalp feeling. In addition, you know there’s not any strange fillers ground up and added to this synthetic blend of stuff. If this has helped you to think differently about investing your money in a pointless market, share your story in the comments. If you hate my guts for even murmuring about the possibility of axing your protein inventory, feel free to yell at me down below also, I’ve got thick skin, but does your wallet? Glad you got some value out of this. It really is crazy how much we don’t realize we are spending when we buy supplements twice a month or so. Black coffee is awesome! It’s my go to pre workout these days and gives me that little boost I need in the afternoons for a workout if I can’t make it in the morning. I appreciate that! Hopefully the future stuff resonates with you just as well.